DU VAL, P. - Chine. Chine. - DU VAL, P.
Size : 5.0 x 4.0 inches. / 12.7 x 10.2 cm. 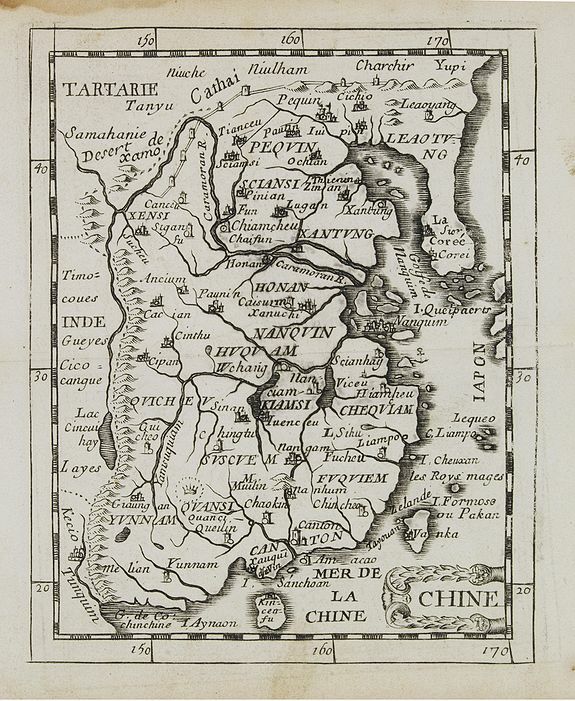 Description :Uncommon miniature map of China, Taiwan and Korea as an island, from Pierre Duval's La Geographie Universeille. Following his Cartes de geographie in 1657, Pierre Duval published this smaller size atlas which contains a larger quantity of maps. The maps in the atlas appear to be derived from those of his uncle Nicolas Sanson.